More than 40 public health scholars on Friday stepped into a lawsuit challenging Kentucky's plan to enact work requirements on Medicaid beneficiaries. They argue the policy contradicts the intent of the Medicaid demonstration statute to improve the program, and that unintended consequences could lead to massive revenue drops for health centers. In an amicus brief, scholars and deans of schools of public health—including those of Columbia, Boston, Yale and UCLA as well as prominent health law scholars like Sara Rosenbaum of George Washington University and Abbe Gluck of Yale—alleged that ratcheting back coverage will make the work requirements' impact harsher and have reverberating effects on healthcare in the communities where beneficiaries are losing Medicaid. The lawsuit, filed in January by Kentucky Medicaid beneficiaries in federal court in Washington, challenged HHS' authority to allow Medicaid work requirements, premiums and cost-sharing because it could lead to substantial reductions in Medicaid coverage. Kentucky's analysis predicts that Medicaid's rolls will drop by nearly 100,000 people over five years, but the scholars argue that based on evidence from the imposition of work requirements on people using the food stamp program, the numbers could be much higher—between 175,000 and 300,000 once the work requirements roll out. The state's uninsured rate has dropped from 13.6% in 2012 to 6.1% in 2015, and the scholars claim that's in large part due to Medicaid expansion. The projected cut goes against what Congress envisioned when it allowed Section 1115 demonstration pilots, according to the brief. "Congress sought to give states the flexibility to test improvements in the major Social Security Act programs by granting the Secretary of Health and Human Services narrow authority to waive certain requirements for demonstration projects that 'promote the objectives of the program,'" the brief said. But work requirements are a "stunning assault" on Medicaid, the scholars argued, as the program was created to provide medical assistance to low-income individuals. The experts also see the lawsuit as the chance to halt the red-state race to implement similar requirements on Medicaid beneficiaries. Indiana and Arkansas have also had their work-requirement waivers approved already. "Unless such work requirements are stopped, millions of low-income Americans are at major risk of losing the protection of health insurance," said Lynn R. Goldman, dean of the Milken Institute School of Public Health at George Washington University, who joined the brief. The Kentucky lawsuit could have an impact not just on the expansion states with the larger rolls of Medicaid-eligible people. 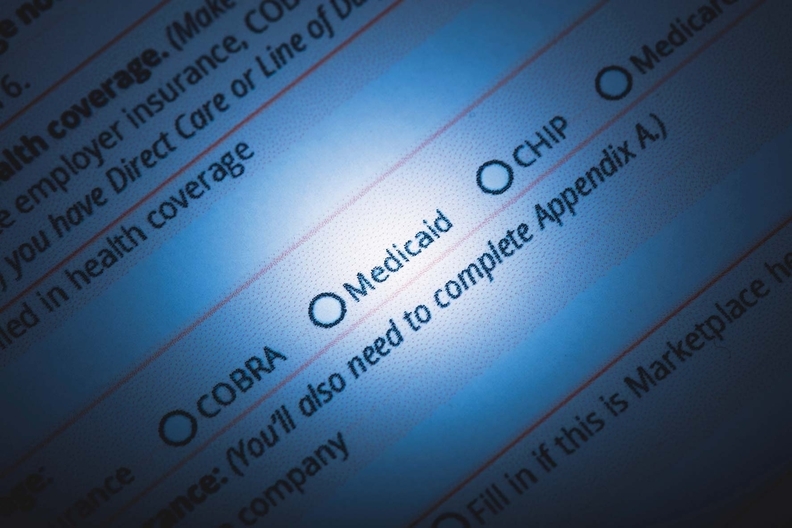 States that didn't expand Medicaid and have some of the strictest eligibility limits in the country—including Alabama and Mississippi—have also applied for waivers. In those states, the people cut from Medicaid would have few if any other options for coverage since workers in part-time or at low-paying jobs often have no employer-sponsored insurance, according to analysis by Georgetown University's Center for Children and Families. While some Medicaid stakeholders have declined to weigh in on the policy merits of work requirements, they are wary of how they will work in practice. "We can say that the implementation costs are something that proponents really need to be aware of," said Jeff Myers, CEO of Medicaid Health Plans of America. "Rolling out new eligibility determination criteria will be administratively complex. For example, new information needs to be collected and tracked via new systems that need to be tested and installed, along with incurring new personnel costs to run them. The overall cost of this undertaking should be carefully considered by states before jumping on the bandwagon."